This fantastic nesting doll set depicts stories of famous Russian heroes. On each doll their life encounters and adventures are depicted in several scenes. The paintings are detailed, colorful, and traditional. 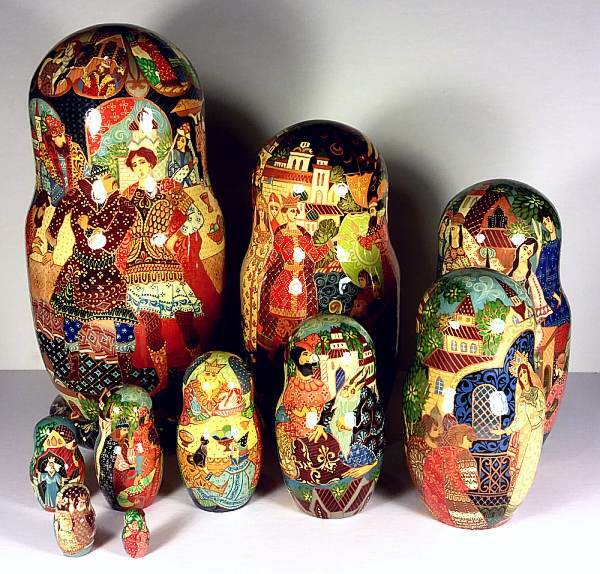 This is a gorgeous, elaborate nesting doll set. The bottom is signed with the names of the artists (Alimov and Lokhova), name of the work, city, and date (July 30, 1997).